TORONTO [11 September 2015] A team of astronomers has given us our best view yet of an exoplanet moving in its orbit around a distant star. A series of images captured between November 2013 to April 2015 shows the exoplanet β Pic b as it moves through 1 ½ years of its 22-year orbital period. 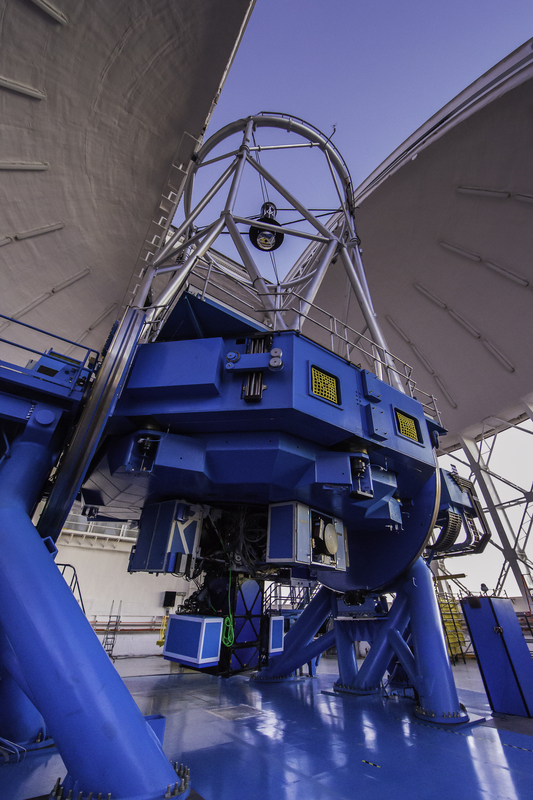 The Gemini Observatory provides the astronomical communities in six partner countries with state-of-the-art astronomical facilities that allocate observing time in proportion to each country’s contribution. In addition to financial support, each country also contributes significant scientific and technical resources. The national research agencies that form the Gemini partnership include: the U.S. National Science Foundation (NSF); the Canadian National Research Council (NRC); the Brazilian Ministério da Ciência, Tecnologia e Inovação (MCTI); the Australian Research Council (ARC); the Argentinean Ministerio de Ciencia, Tecnología e Innovación Productiva; and the Chilean Comisión Nacional de Investigación Cientifica y Tecnológica (CONICYT). The Observatory is managed by the Association of Universities for Research in Astronomy, Inc. (AURA) under a cooperative agreement with the NSF. The NSF also serves as the executive agency for the international partnership.